Just how much does "free" state school at point of entry cost? Just how much does “free” state school at point of entry cost? I thought I’d actually add up the kids mandatory costs at school. I’m planning keeping a running total in my sidebar to show just how much school costs have been so far. It may be quite surprising in the end. My kids are at three different schools. One is in primary, one in secondary, and one is in a special school. I’m going to keep the school costs separate, so I know how much each school asked for and got. It includes parts of the school uniform bought from the school, as there is no option to buy cheaper elsewhere. It does not include the extras like lunches, shoes, bags, pens and pencils etc, as these are pretty much things kids need wherever they go. You can earn some entry data job..So that you can live some income…You can do work here on hourly basis for long term such as 6 moths or more to a single buyer. yes between non uniform days, other fund raisers, trips and christmas treats it costs a fortune to keep ypur kids in the free education system. will be interesting to watch this clock up. I’m keeping out the optional costs, and just adding money paid direct to the school. The complete figure would be horrific if we included school bags, shoes, trousers, gym kits etc, etc. I’ve only got one to get uniforms and things for, and I’ve found that really expensive. I’ve no idea how people do it if they’ve got three or four children. When money is tight, many eat junk most of the time as good and healthy food is for treats and not in the weekly budget 🙂 Then schools complain about kids unhealthy diets at home…. The prices are ridiculous too. £7.50 to go to a park 28 miles away. Great idea and I’m interested to know how much it all does cost. It would be the same here I imagine. Everyone just pays as nobody wants their kid to be the home alone one in class. Prices for some things are just not doable. Mind won’t be doing the foreign holidays abroad. It’s just too much. I don’t know if it is the same in Scotland, but technically, uniforms are not mandatory at primary level in England. I find that with mine, jumpers last more than one year, and I personally think that uniform saves me money in other ways as they don’t wear down their own clothes. Also, contributions to school trips are also not mandatory. 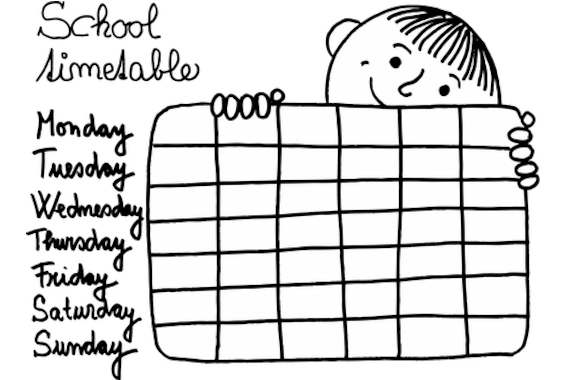 In fact, all contributions that schools ask for that are related to the curriculum are entirely optional as far as I know – which would cover the raffle too. Our trips are theoretically contributions, but if you don’t pay, your child stays home alone in school, so they are not really theoretical. Uniform here is mandatory at all our schools, and with the school as the sole supplier, there is nowhere else to get jumpers and polo shirts. Trousers etc, are fine from cheap supermarkets, but the other stuff is a no go. Raffles and fundraising are the only things that are really optional, but again, if you don’t give you child, they either don’t get to go, or have to stand by miserably while all the other kids get to go and spend their money. We may get free prescriptions, but we don’t get free schooling. Another £26 wanted for a Spree book (from 2 schools) today, but I sent that back as I never use them.